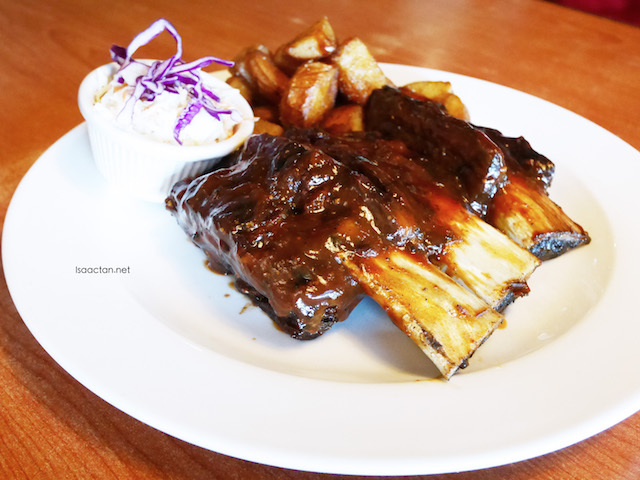 Another new menu and promotion launched by Tony Roma's Malaysia. 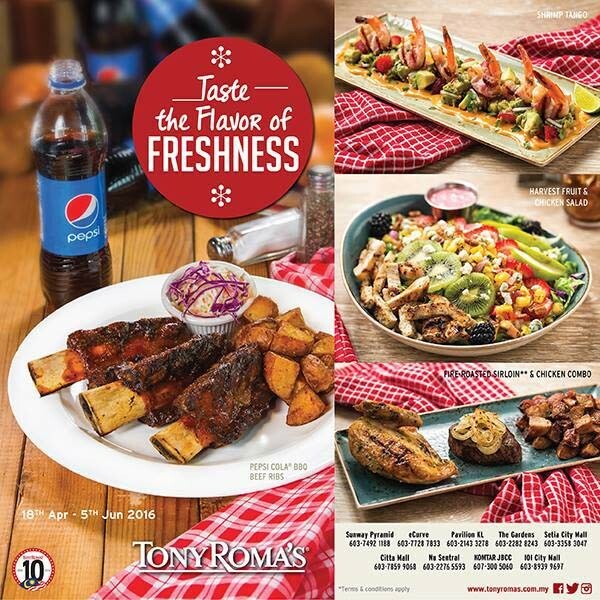 Aptly named 'Taste the Flavor of Freshness', this new promotional menu which consists of salad, meat, and drinks will run from 18th April 2016 until 5th June 2016, at all participating Tony Roma's outlets. I had the chance to try out some of the new dishes, so do read on below. With innovative new creations, customers can expect their meal prepared with the freshest and sometimes unconventional ingredients, which contributes towards a flavorful and delightful culinary treat unlike anything before. My type of food. 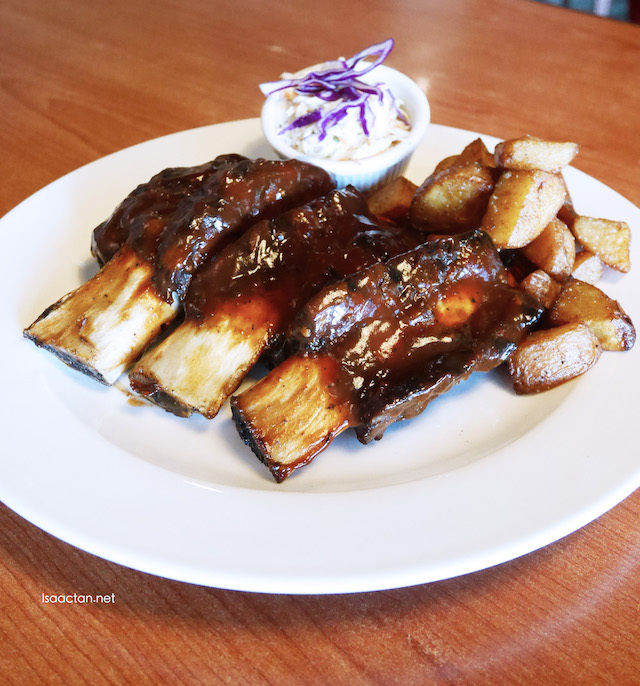 Available in Roma Rack or Full Slab, the Pepsi Cola BBQ Beef Ribs sees the infusion of the loved-by-generations cola with Tony Roma’s premium BBQ sauce, resulting in a unique taste of ribs which diners may deem familiar, yet different. The dish is generously served with coleslaw and chili potatoes as well at side. Starting from 18 April until 5 June 2016, diners who purchase 1 Pepsi Cola BBQ Beef Ribs and 1 Pepsi drink are entitled to the Pepsi contest to stand a chance to win a holiday to a destination of your choice worth RM3,500. Each purchase of Pepsi Cola BBQ Beef Ribs – Roma rack and a Pepsi drink, is entitled to 1 entry and customers who purchase Pepsi Cola BBQ Beef Ribs – Full slab and a Pepsi drink will get 2 entries. Available at participating Tony Roma’s outlets only. Multiple entries are accepted. 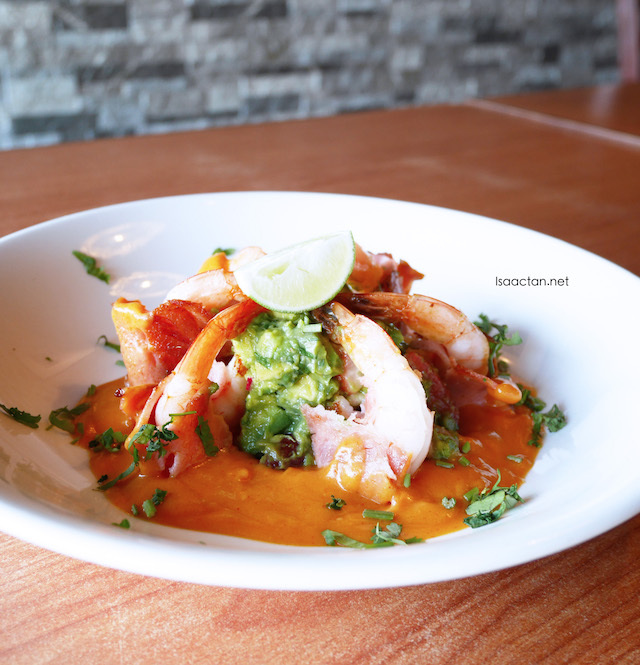 Fancy juicy shrimps served with turkey ham, Sriracha lime butter, strawberry and radish guacamole? Then you must try the all-new Shrimp Tango, perfect to be taken as a side dish, or an appetizer before your heavy mains. The shrimps were really fresh. 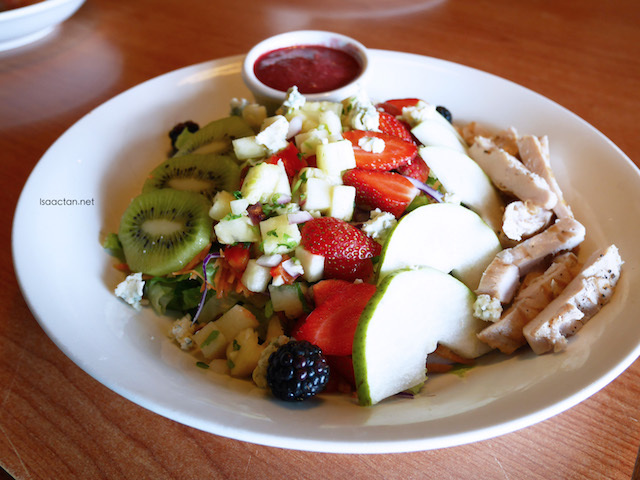 The Harvest Fruit & Chicken Salad features succulent grilled chicken, Asian salad mix, walnuts kiwi, pineapple salsa, strawberries, pears, blackberries, bleu cheese crumbles and 3-berry vinaigrette. Highly recommended for the health conscious folks, and salad lovers, this is absolutely refreshing! 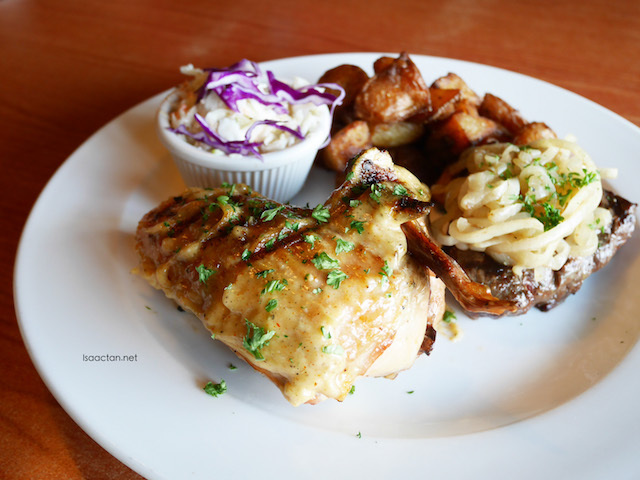 Meat lovers like yours truly would do well to order this very filling dish, the Fire-roasted Sirloin and Chicken Combo. You have both chicken and 5oz sirloin steak on a plate with chilli potatoes and 1 side of your choice. I must say, I don't mind having this delightful meaty dish, any time of the day. Oh, don't forget your drinks! 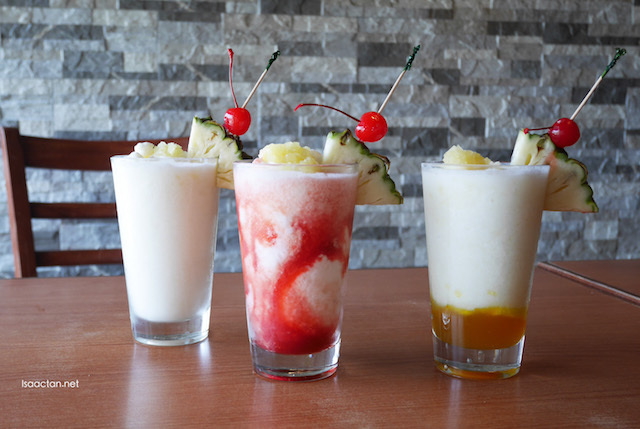 Pair up your meal with these refreshing fruity drinks (Pina Colada, Pina Strawberry Swirl and Pina Mango Swirl), the 3 exclusive choices of non-alcoholic drinks for that aftertaste of fruity sweetness. Do drop by your nearest Tony Roma's and try out their Taste the Flavor of Freshness New Menu soon! They've opened an outlet in Kuching. Wish they would open one here too.